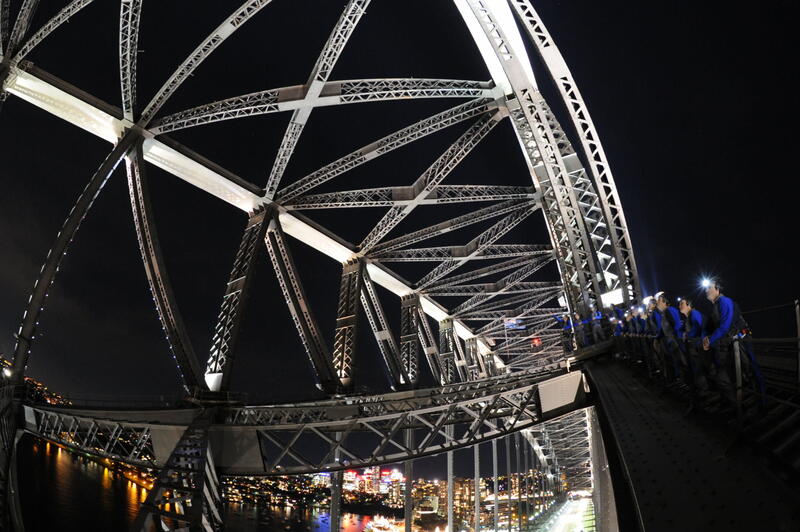 See Sydney at its best - take the climb of your life with BridgeClimb Sydney. Don’t miss this unforgettable, and uniquely Sydney experience. 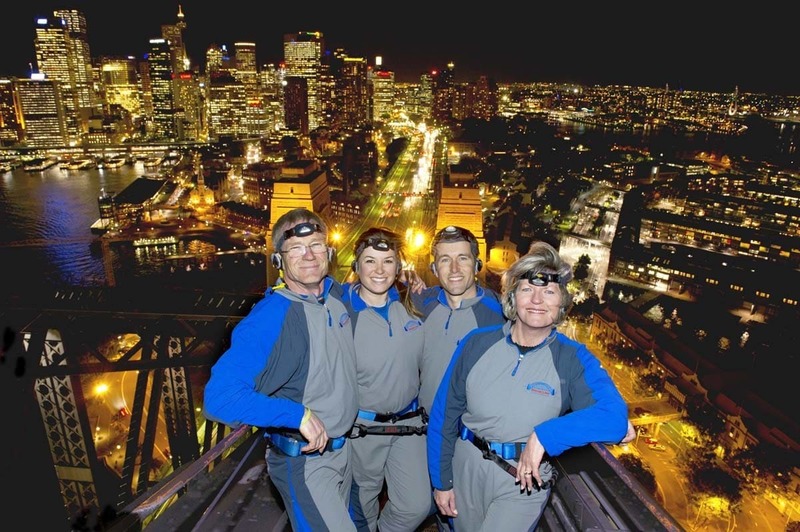 See Sydney at its best - take the Climb of Your Life with BridgeClimb Sydney. Don’t miss this unforgettable, and uniquely “Sydney” experience. 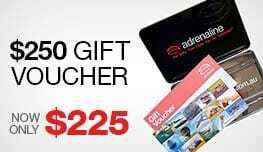 Absorb a 360 degree panorama of Sydney as you journey to the summit on our original Climb experience. As the sky remains just past your outstretched fingertips, take the upper arch to the peak of an Australian icon. 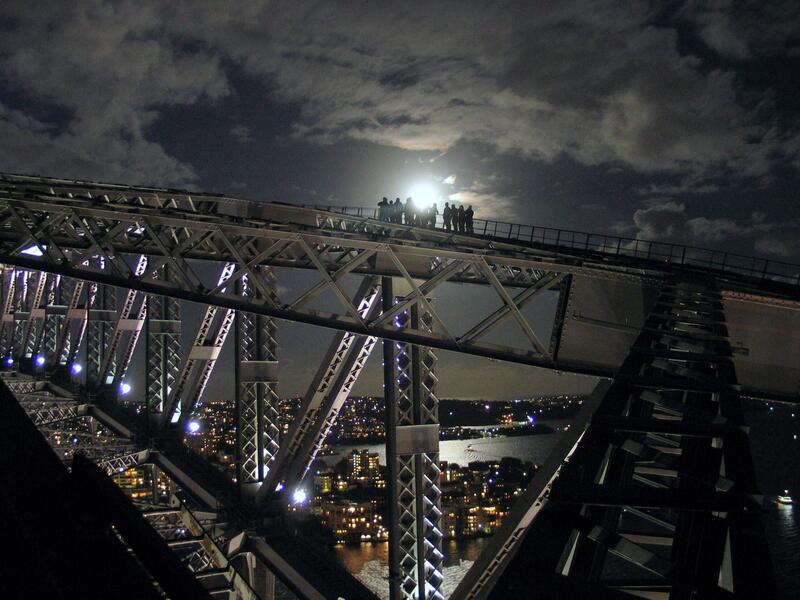 Climb at night to the summit of Sydney Harbour Bridge! Latching on in the Climb Base below the Bradfield Highway, you will walk on catwalks until you reach the south-east pylon. Here you will ascend four ladders to the start of the upper arch, surrounded by the hum and buzz of Sydney’s traffic. With the summit in your sight, your journey continues along the Bridge’s outer arch on the Opera House side until you hit the top. After a summit celebration with your group, you cross the spine of the Bridge to the Darling Harbour side to make your descent back to our Climb Base. Night BridgeClimbs take place after sunset. The exact time of your Night BridgeClimb experience will vary based upon the time of year. We care about your health, safety and comfort. Please read the important information about health and safety to assess your readiness for a BridgeClimb experience. Have a blood alcohol reading of 0.05% or higher. Participants must pass an alcohol breath test before climbing the Bridge. Any persons over the limit will not be allowed to climb. At BridgeClimb's discretion, essential medication may be taken on the Climb (For example, asthma inhalers or diabetic medication). Please speak with a BridgeClimb Team Member on the day. Pregnant Participants less than 24 weeks, as well as Participants over the age of 75, are required to consult a medical practitioner before climbing and must ask the medical practitioner to sign a BridgeClimb Certificate of Fitness Form. Still concerned? If you believe your health and safety, or that of other Participants, may be put at risk by you taking part, you should not join the Climb. If you have concerns about your ability to participate safely, please consult your treating doctor. Please be aware that even if you have made a reservation, BridgeClimb reserves the right to decline participation or modify your chosen climbing experience. The health and safety conditions of climbing are subject to change at BridgeClimb's discretion. Climbs are postponed during electrical storms or during times of extremely high wind. This is an all-weather experience and will go ahead at all other times. 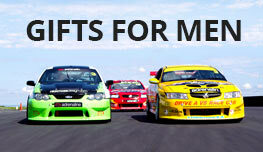 You'll be equipped with all the gear required to keep you safe and comfortable based on the day’s weather conditions.